Stuart Little Paperback Just $3.66 Down From $7! You are here: Home / Great Deals / Amazon Deals / Stuart Little Paperback Just $3.66 Down From $7! Get this great bedtime story idea from Amazon. Stuart Little Paperback is just $3.66 down from $7! Get yours now while it lasts! A paperback edition of E.B. 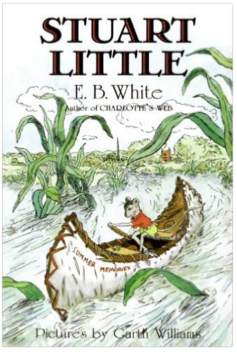 White’s classic novel about one small mouse on a very big adventure! With black and white illustrations.